"The KUHL SHIFT STEALTH AMFIB SHORT features DWR finish for fast dry time so you can easily transitions from town to travel, beach to bar. 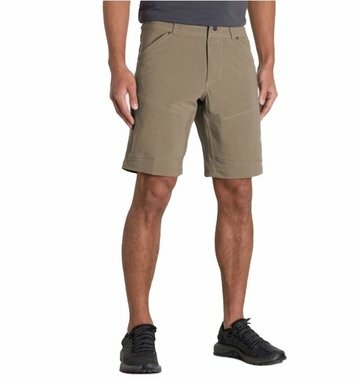 The SHIFT STEALTH AMFIB SHORT features 7 total pockets, including chino-style, flat front pockets and KUHL signature stealth cell phone pocket. Patent pending EQUALIZR rear pockets create a perfectly level, clean, and incognito style. All pockets include a drainage hole for quick drying.